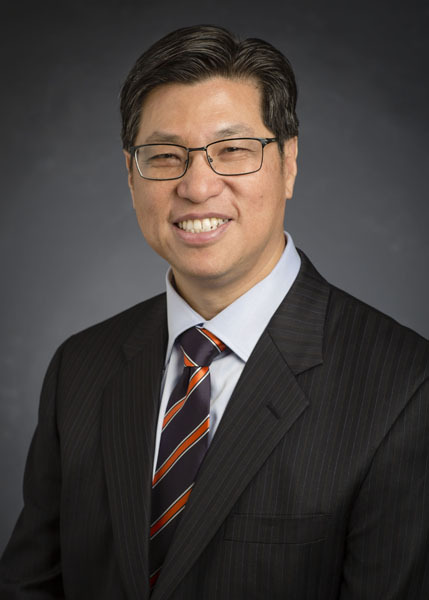 Dr. King Li, MD, MBA, is a highly-regarded scholar who commands respect in his discipline and in the medical profession. Li enthusiastically engages faculty, disciplines and colleges across campus as well as physician colleagues at Carle and beyond in establishing the revolutionary college. Li is a renowned researcher, educator, inventor and clinician in molecular imaging and radiology. Holding 16 patents, with another six pending, and four new invention disclosures since joining the Carle Illinois College of Medicine, he has a long track record of developing and commercializing intellectual property as well as setting up and administering large clinical and translational research programs.